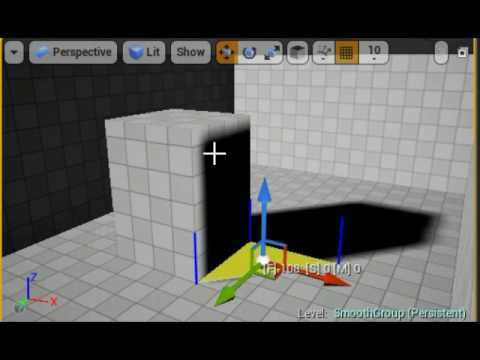 Mesh Tool is a mesh editor for Unreal Engine. 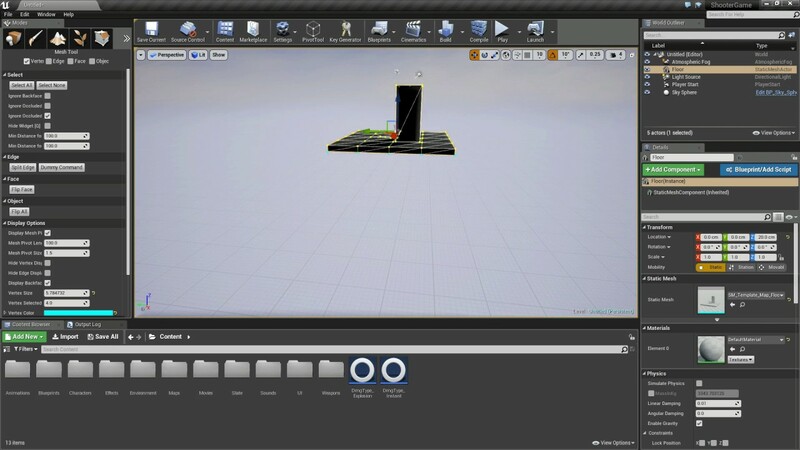 It allows you to edit mesh assets and prototype props and levels in Unreal Editor. Add Marquee Select Strict Mode option, while off will allow select edge or faces by select only partial vertices. Reminds me of Lumberyard Level-Editing. Looks really cool. If you are planning to sell this at the same price as your Instance Tool count me in as a day 1 buyer . I also saw your pivot tool and like the idea. I would suggest combining both tools into one package. This new "Mesh Edit Mode" could really speed up level prototyping. One suggested feature: Add the ability to subdivide a face or entire mesh. You can do something similar to Blender -> Select a face and then press a button to just double the number of faces. This would add huge versatility IMO. I can image the workflow being -> Use BSP to create basic shapes or start with a basic cube and then subdivide faces and extrude. Updated DevLog of Week2. And thanks folks, for all the kind words. [MENTION=49600]CoquiGames[/MENTION], I haven't figured out how to proper subdivide a triangle face without dramatically increase the poly count, but your suggestion motivated me to add the Split Edge command. And the Poor Man's Extrude. Good Lord, finally someone is working on this!!! 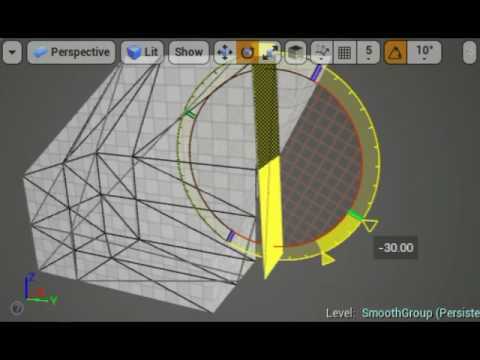 This is already looking like a huge timer saver for simple mesh adjustments! I can see myself importing a mesh from Blender and then making simple adjustments with this tool to change scale, etc. One thing to consider (and this may be hard) - what about UV mapping? If you start with a simple cube and subdivide / extrude several faces, how will the UVs be created? This is great, I do really hope you expand on this quite a bit (it has massive potential in engines like this). 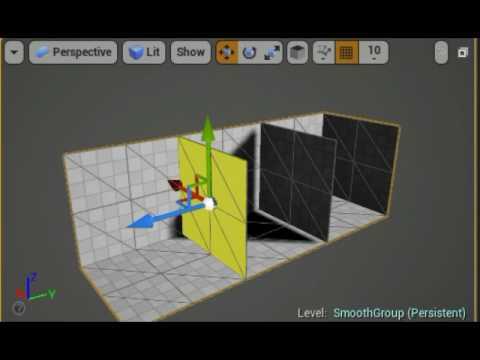 UV map generation, lightmap generation, extruding, beveling, etc will really make this an ultimate level designer tool for layouts. Yeah stuff like this is sorely missing from the UE4 editor. Nice work! I'll definitely add "Remove faces" functionality (I think it'll be useful to delete useless faces after actor merge). Not sure about Knife tool, I understand tools like that could be useful but I have to be very careful to not make a full feature modeler to compete with blender . (Probally a bad idea considering that's my first ever mesh editor) But I do like to explore the idea to add basic mesh boolean operation. Very nice [MENTION=702]Nate[/MENTION]what about UV mapping? If you start with a simple cube and subdivide / extrude several faces, how will the UVs be created? Good question! That's something keep me thinking these couple days, from my little "google research", there're basically 2 ways: 1) Auto UV projection whenever mesh being edited (e.g. extrude), could be simple Box Mapping or could be complex as LSCM or As-Rigid-As-Possible). 2) Do it via shader voodoo, like World Space UV Mapping or Object Space Triplanar Mapping. Haven't decided which way to go. Adding a simple method to auto correct uv while editing static mesh inside editor. I'll definitely add "Remove faces" functionality (I think it'll be useful to delete useless faces after actor merge). Re-assign smoothing group and re-compute normals to achive hard edge looking. Does it already preserve UV maps and other stuff? How would it work with static mesh actors that have LODs ? Btw, awesome job you are doing there, sir!